The south west is renowned for its cider and cider makers – or cyder, to use the traditional Devonian spelling. 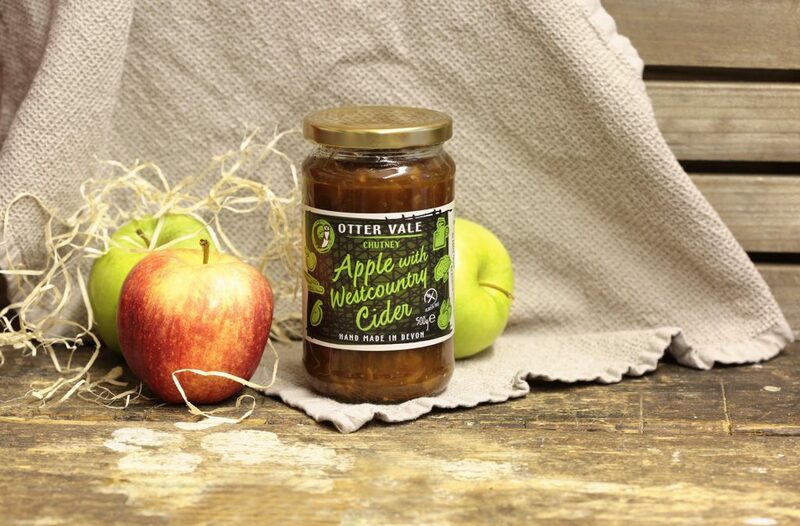 One of Otter Vale’s most popular products is our Great Taste award winning Apple with Westcountry Cider Chutney. It’s a well-known local and regional favourite, but we’ve probably been guilty of not shouting loudly enough about its provenance. Did you know that it is made using cider pressed from local apples and created by champion craft cider makers Chris and Nick of Green Valley Cyder? They also make the cider that we use in our Taste of the West award winning Devon Farmhouse Cider Mustard. 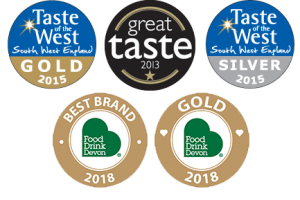 You might also not have been aware that until 2018, the cider was pressed and produced behind their shop area in Dart’s Farm, Topsham, just across the way from where you can see most of our range proudly displayed in a dresser beside the butchers. Our relationship with the boys at Green Valley Cyder goes back over twenty years. They’ve been there when our family business was in the capable hands of Granny and Grandpa Otter Vale, kindly kept Mr Otter Vale right when his parents handed over the reins, and helpfully hefted 25 litre containers of cider into a heavily pregnant Mrs. Otter Vale’s car on more than one occasion! We’re a sociable lot and always keen to visit our local suppliers and customers who are as passionate about food and provenance as we are. We caught up with Nick and Chris a few times over the summer and during harvesting/pressing season last year, before Chris (technically!) retired. 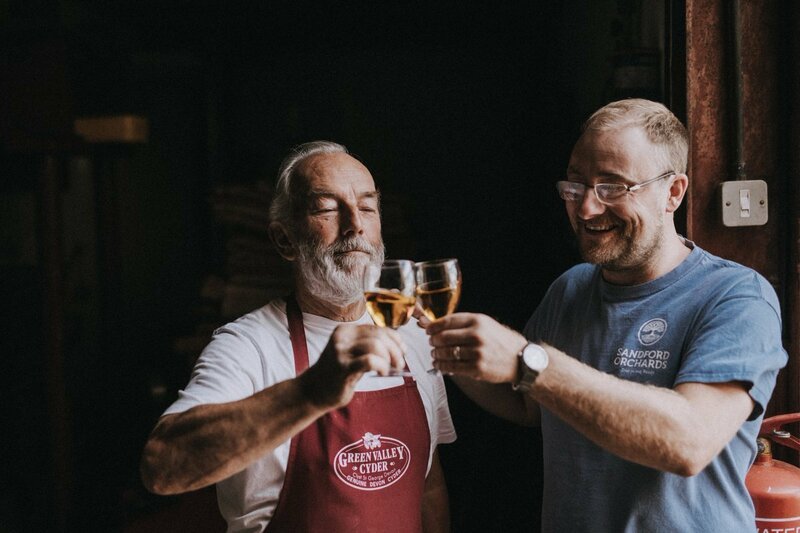 The production of Green Valley Cyder has moved to the renowned Sandford Orchards in Crediton where Barny and his team will continue to make it alongside their own exciting products. So we thought it was high time we paid tribute to these local cider stalwarts. We inadvertently gate crashed a photo shoot (sorry Matt Austin!) and put some questions to Chris and Nick. We’d hoped to bring you this interview and talk about cider production back then, but time caught up with all of us, so we decided to save it until Wassail 2019 instead. Wassailing is an ancient tradition stretching back centuries. It’s still celebrated in the cider-producing areas of England, notably the South West, and can be considered a blessing of the fruit trees. The word “wassail” comes from the old Anglo-Saxon greeting “wes þú hál”, meaning “be you hale”, or “good health”. The timing varies, with some events happening on the Twelfth Night (5th January), some around Old Twelfth Night (17th January), and some in between. Whatever night you go, it’s quite an experience! 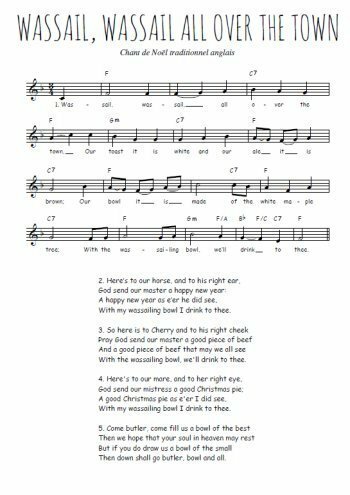 A procession of people follow the Wassail King and Queen from orchard to orchard (or through the streets), singing, dancing and making all sorts of loud noises to scare off evil spirits and waken the apple trees; thereby ensuring a good harvest. In some places, you might even see a Mummers play, or someone dressed up as the Green Man. Whilst individual villages have their own particular form of celebrations, drinking wassail – a mulled cider spiced up with nutmeg, ginger, cinnamon, sugar and sometimes egg, honey, fruit – topped with toast from a communal wassailing bowl is integral to it. This is then shared with the trees and the (good) spirits in the orchards too. To find out more about traditional cider, you can still find Nick in the cider area at Darts Farm. 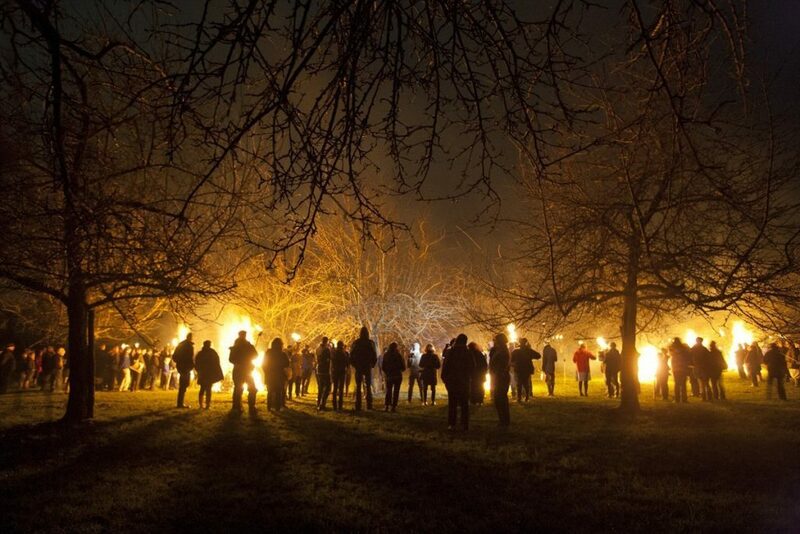 Why not enjoy the whole experience, and join the Darts Farm team as they celebrate Wassail with Sandford Orchards on Monday 14th January 2019 at The Cider Works, Crediton, from 7-10pm? Tickets in advance from Darts Farm here – book in advance!